James Robinson’s Starman was truly groundbreaking run. After having revisited the Golden Age Justice Society during his Golden Age mini-series, James Robinson was tasked with reviving Starman, a hero of that era. In Jack Knight, the new Starman, Robinson injected a part of himself, both being avid collectors of vintage items, which helped to instantly create a both honest and unique characterization. Starman, the series, was as much the story of Jack Knight as it was about Opal City itself. Robinson was able to flesh out the city that eventually felt so familiar that it fit right in with Gotham and Metropolis. James Robinson struck deal hardly seen in mainstream comics in that only he can write the character of Jack Knight. After his run, he retired the character, with no plans for a return, regardless of the wishes of DC Comics. He did return to Opal City, however, in the Shade mini-series. Despite a short run of about 80 issues plus a few spin-offs and guest appearances, the reading order is a bit confusing. First, there is the question of where to start reading: from the first appearance of Jack Knight, The first issue of Starman (numbered #0 no less) or from Robinson’s not-canon-yet-kind-of-after-the-fact Golden Age which inspired the back story to Starman? Also, there were mini-series featuring the Shade and guest appearances in books like Showcase, in addition to an eventual membership with the JSA that occurs between the panels of a single issue. Furthermore, reading the series in trade paperback would mean that the flashback issues were consolidated into a book of their own, instead of being inserted in publication order, which changes the pacing of the series. Finally, the trade dress became very confusing, as the numbering of parts was not consistent (i.e. Grand Guignol part 10 is numbered “Onzième”, or eleventh, inside the book), multiple events featured on one cover, collected editions containing the name of an event which does not fit with the trade dress and an annual with one crucial event that must be read at a particular point. All in all, it is not apparent how to navigate this series, even if you read by trade or omnibus. 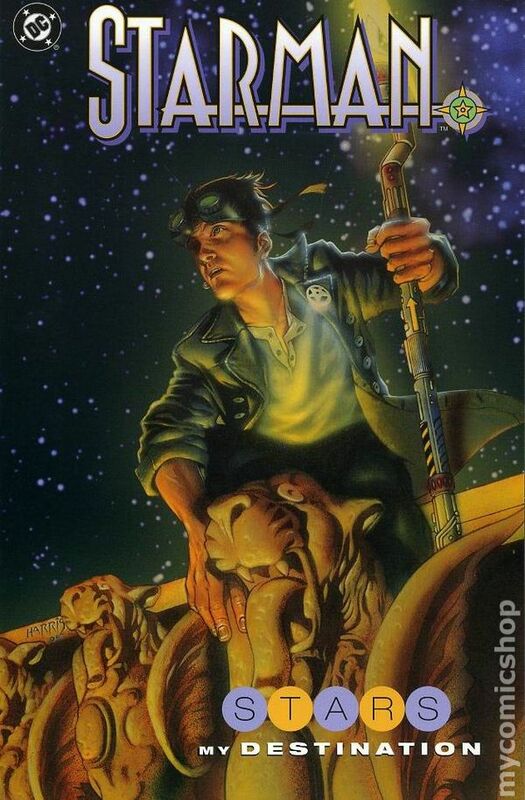 If you’re looking at strictly reading James Robinson’s Jack Knight, you can pretty much stick to the trade paperbacks or omnibuses (and even skip the “Times Past” books) and you’ll get the essence of the story. Completists, however, have a few interesting options. The first are Starman 1st series #26 and #27 which feature David Knight taking on the mantle of Starman and attempting to reclaim it from the series star Will Payton. The next option would be read Robinson’s Golden Age series, which feature the JSA. This series was not originally canon, though it inspired a lot of the back story to Starman that many now consider it canon. Then there is Jack Knight’s first appearance in Zero Hour #1 (a series which was numbered in reverse as a countdown), though it is basically just a page. Finally, where many start reading Starman, is with Starman #0, the first issue in the series. The are also the optional Shade mini-series which are firmly set in the Starman setting written by James Robinson that help expand the universe. Finally, there is JSA by James Robinson and also Geoff Johns. Jack Knight joins and has many adventures which occur between the panels of Starman #61. It’s your choice to either read them before Starman #61 (as ordered below), read up to the panel featuring the JSA and then switch to JSA at that point, wait until the end of the issue switch over to JSA or just read JSA after the fact at the end of Grand Guignol or the series itself. 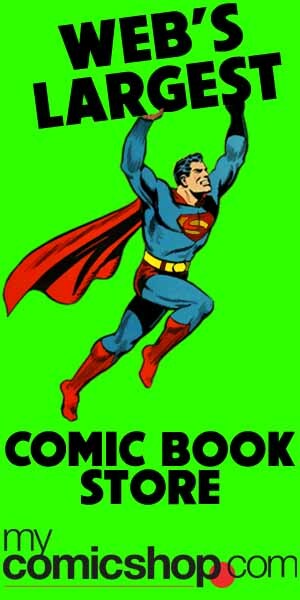 If you want to read by collected edition (and keep it simple), here are a few links to the trades and omnibuses. I would also add Batman Legends of the Dark Knight Annual #7. It was published in 1997. It is a “Times Past” story set in Turk County by James Robinson and Steve Yeowell. It definitely times into Starman though no Starman appears. David Knight first appeared in Starman (1st series) #26.